When we got to the hotel yesterday we found out how to go to Machu Picchu . It turns out that there are several ways and days to Machu Picchu ranging from 7 days to just one which we were interested in. 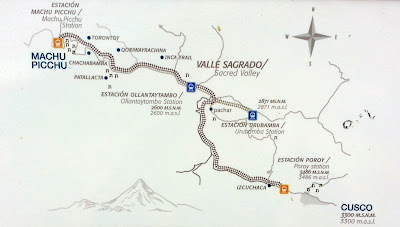 The Guest house we stayed in helped us with information to first go to Peru Rail and get the tickets to Machu Picchu station which turned out to be a 3 hour train ride. After that we had to buy a bus ticket and the entrance ticket. The bus took about 20 minutes to reach Machu Picchu and then we got Niomi our tour guide to show us around. It was quit a site and there is no wonder that people like to visit the craftsmanship and the fact that it is virgin ruins where a stone still has the wooden rollers underneath it from when they were being moved. The picturesque mountains and landscape was quit exciting also with steep rises and paths. 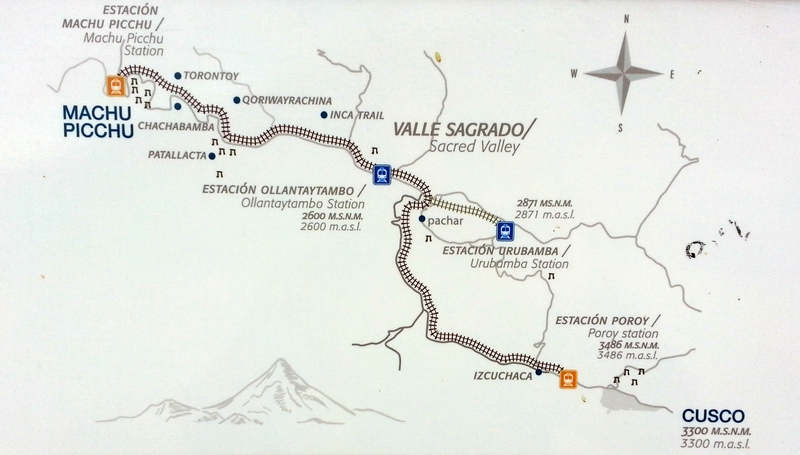 Once we were done we went back down and had lunch before riding the train back to Cusco. on the way we were entertained by a fashion show of Peruvian made alpaca garments. We all bought scarves on the train and found out next day that the prices on the train were better than the one's in town. Good morning all. Some years back i was reading about INCA civilization and how there last king was murdered by Spanish invaders. It must be lovely feeling to witness the remains of that the most innocent and decent civilization. Good luck and enjoy your adventure.